Charles the Great is King of the Frank, Emperor of Western Roman Empire. 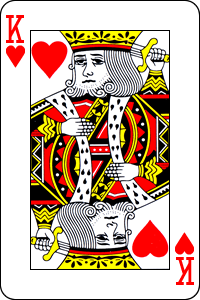 He was regarded as the ideal of the medieval monarch of Europe. He made the base of Europe. He expanded the territory into the empire across Germany, France and Italy. In 800, He received a crown of "Emperor of the West Roman Empire" from Pope. With this, the West Roman Empire was resurrected and could strengthen the royalty and the conquest of the Roman church. For the Pope, he could make the Roman church powerful simply by giving the crown of "emperor". 1 The Roman Empire was built. 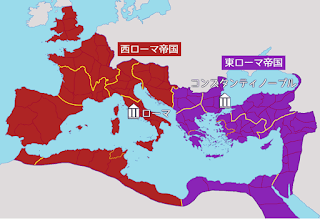 2 The Roman Empire was divided into the east and west. 3 The West Roman Empire ruined. 4 Frank Kingdom (Western Roman Empire) came into existence.